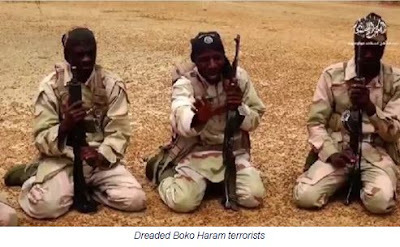 The Department of State Services on Saturday revealed how suspected terrorists planned to unleash terror on selected six states and the Federal Capital during the just concluded Eid-Kabir. DSS revealed that the plan was spearheaded by Islamic State of West Africa terrorists whose aim was to cause mayhem and destruction that would have disrupted the Eid-Kabir festivities. It added that the plan was to conduct gun attacks and suicide bombings on selected targets in the Federal Capital Territory, Kano, Kaduna, Niger, Bauchi, Yobe and Borno States. Spokesperson for DSS, Mr. Tony Opuiyo, who made the revelation in a statement, named Husseini Mai-Tangaran, who was described as a well known senior ISWA commander, as the mastermind of the plan. He said, “Mohammed was a fighter of the sect who left the conclave of the group in the Sambisa forest, to join ranks with Ismaila towards carrying out the attacks being planned by the group. “Also, another accomplice in the plot, one Muhammad Ali was arrested on September 3, at Sheka area in Kumbotso area of the state. “Prior to his arrest, Ali was the financial courier of the group in Kano. He was one of the conduits through which funds and other material logistics were channeled to the group from foreign extremist elements/sponsors.